Welcome to the A to Z of Bonsai. We are compiling a worldwide A to Z of Bonsai database. The A to Z is written collaboratively by the people who use it and we would like to encourage anyone reading this page to contribute to what has become the worlds greatest encyclopedia of bonsai terms. Entries when they are made will be added to an editable list which will be checked prior to publication. 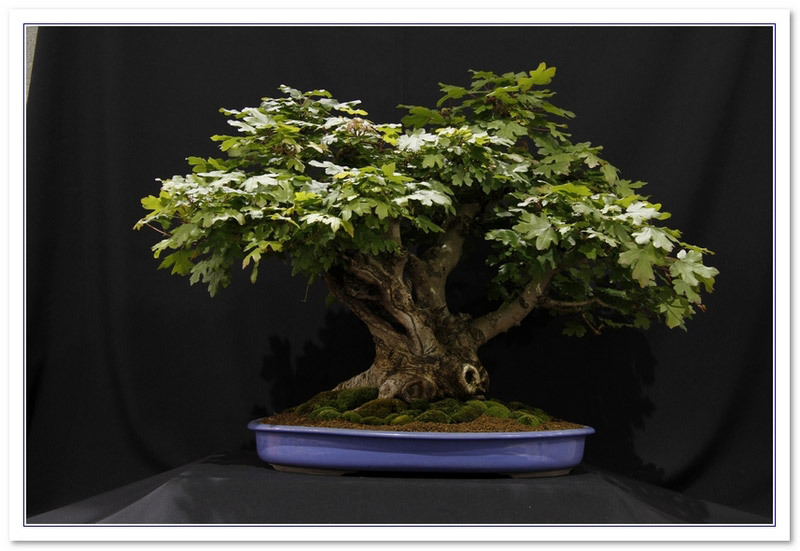 Photos and images of the bonsai term can be added and links made to relevant web pages. So if you would like to help then just click the "Add Your Own Term" button. 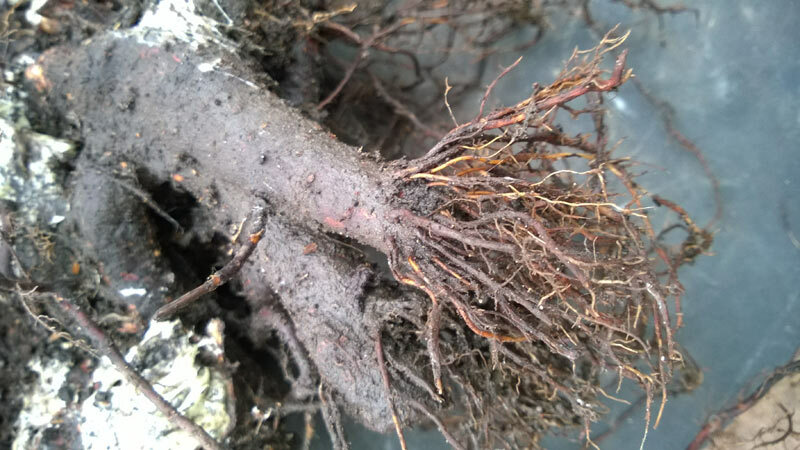 Feeder ROOTS - Those finer parts of the roots which collect the nutriets from the potting medium. Normally the fine roots at the ends of the thicker roots. Part of the technique used in BONSAI>BONSAI is to encourage the growth of fine FEEDER ROOTS closer to the main TRUNK OF THE TREE. This is achieved by CUTTING back some of the main roots to stimulate new growth closer to the main trunk and may take place piecemeal over a number of REPOTTING sessions aCROSS a number of years.. 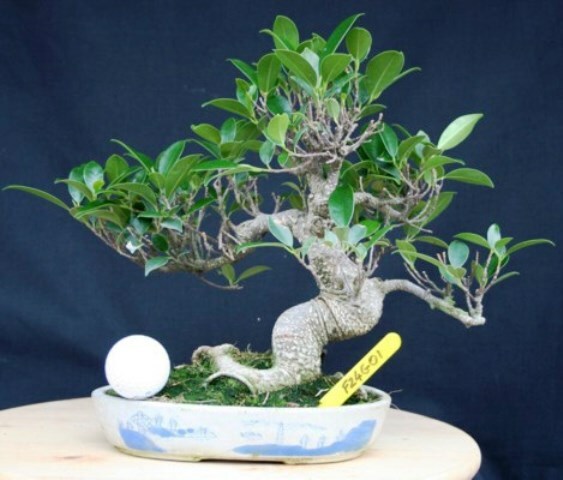 Some planning and care must be taken in PRUNING>ROOT PRUNING to achieve the desired effect since the nebari of the bonsai tree is also a major consideration, and the main roots are also used naturally as support and anchorage for the tree. (Send Image) FERNATIX - Supplier of miniature ferns suitable for accent or under planting. Sell by mail order but not on-line. (Send Image) FERTILIZER - LIQUID - Acts more quickly than solids but heavy rain can flush it through the soil quite quickly, so not giving the plant time to absorb the nutrients. FERTILIZER - SOLID - Sold in powder, granule or block/cake form. Applied to the surface they provide a gradual feed each time it rains and their visibility on the surface helps decide when a new application is necessary. In order not to detract from the tree image or be eaten by birds, these fertilizers can be housed in specifically designed FERTILIZER BASKETS. 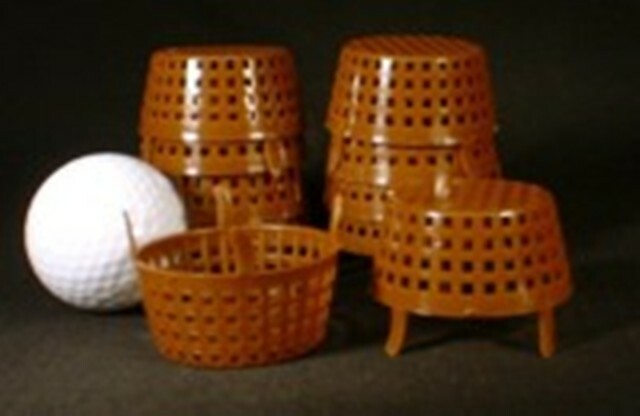 FERTILIZER BASKETS - Used to enclose solid fertilizer in order to prevent disturbance by birds. Each time the tree is watered a portion of the fertlizer is washed through the soil. There a number of designs : some (as illlustrated) are placed over the top of the solid fertilizer and some have lids on top and spikes on the bottom so that the fertilizer is self-contained while the spike keeps the basket firmly positioned in the soil. (Send Image) FIBROUS ROOT - A root system which contains many thin ROOTS as opposed to a single tap root. FIELD MAPLE (ACER CAMPESTRE) - Small maple VARIETY native to Europe with fresh green, three lobed LEAVES in spring changing to bright yellow in autumn. STYLE : Upright tree suitable for most styles except literati and are good for shohin sized specimens. WARNING : Needs protection from scorching by exposure to the hotTEST summer sun. Also, small specimens require frost protection in winter. FIG (FICUS ) - Varieties used for BONSAI>BONSAI include : retusa and benjamina (WEEPING) in temperate climates and microcarpa and microphylla in warmer araes. Originating from South East Asia and Australia, with leathery pointed oval LEAVES and aerial ROOTS, they are more closely related to the rubber plant than the large tree with edible FRUITs. STYLE : Suited to all styles except literati and the aerial roots of the "banyan type" make them very good for root over rock. WARNING : Figs dislike draughts or sudden changes in temperature or HUMIDITY. 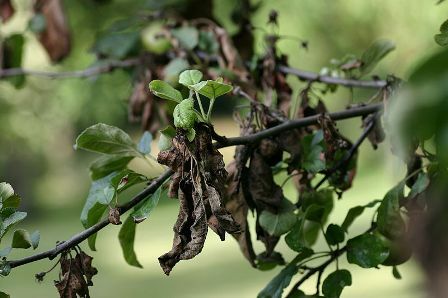 FIREBLIGHT - Fireblight is caused by a bacteria (Erwinia amylovora) which first attacks the blossoms progressing to the twigs and then the branches. FLOWERS turn brown and wilt; twigs shrivel and blacken, the ends often curling. In advanced cases discoloured oozing red/amber patches, form on branches. The translucent amber or reddish ooze (see image) contains masses of bacteria. Most susceptable are : varieties of pear and apple trees (including crab apple), MOUNTAIN ASH, hawthorn and cotoneaster. Treatment involves sparaying shortly after bud break, with systemic FUNGICIDE. RePEAT the spray at one to two month intervals, more frequently in high disease situations. Prune out infected branches 12 to 16 inches beyond the last visible signs of the disease on the branch. It is critical that the PRUNING tools be sanitized after each branch is pruned, so as to prevent spreading the disease form branch to branch. Five NEEDLE pine - SPECIES of Pine whose needles grow in clusters of five. Most common is white pine (Pinus Parviflora). 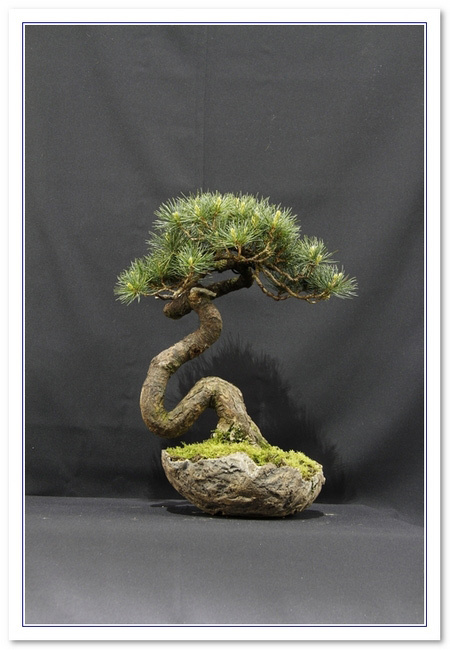 BONSAI>BONSAI>FLIT BONSAI - Provides workshops and trees for sale and a re-potting service. 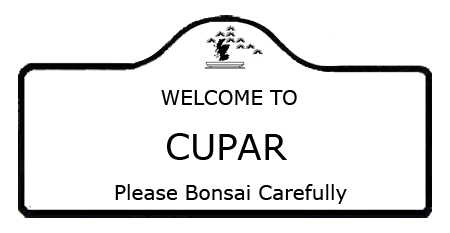 Web site offers information on the history of bonsai, different SPECIES and how to propagate them, and care of bonsai. FLOWERS - Trees which normally flower as part of their reproduction process will flower when grown as a BONSAI>BONSAI. The flower of the bonsai will reduce in size as the LEAVES of the tree/bush reduce in size although the size of the flower is not normally proportionate to the size of the reduced tree i.e. the flower seems disproportionately larger. Flowers are the precursor to seed when the flower is pollinated. Flowers and seeds are sometimes left on the tree but sometimes they are removed. Some trees benefit from the removal of the flowers/seeds to direct most of the trees energy into producing wood and foliage.